Be ready for a healthcare revolution in Scotland. That is the message from the Digital Health & Care Institute (DHI). The DHI have constructed a Demonstration and Simulation environment developed using the Lenus Health platform as core infrastructure. 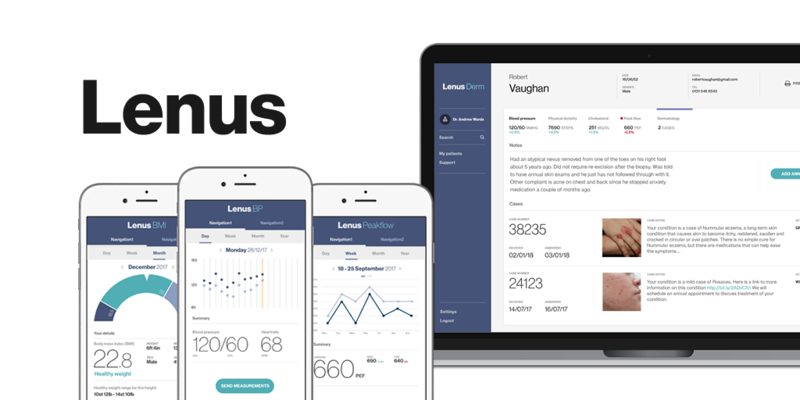 Lenus is an open, vendor agnostic platform designed to exploit growing usage of consumer health technology as part of new models of care that combine remote patient monitoring with machine assisted clinical decision support. It offers consent driven, standards-based data exchange between patients and clinicians and offers statutory systems a single point of integration. This new type of digital infrastructure for health aligns with policy ambition to re-orientate service provision from reactive high cost models to one which focuses on prevention, anticipation and supported self-management. Speaking to The National, Professor George Crooks, CEO of DHI, spoke about how products exist in Scotland now that will make this dream a reality in just a matter of months. 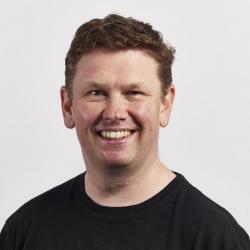 He said: “We’re building a simulation environment here in Glasgow that will have an architecture that allows data to flow from any device you may have, through an exchange layer into back-end government systems and databases in a trusted and seamless way. “The data is presented to your doctor, social carer, yourself, or family in a way that makes it easy to understand and allows you to make informed decisions. “That’s not 10 years off – we’re building that now and we’ll have the prototype model available within the next six to eight weeks. That is using products that exist today in Scotland. “When we build that we can bring people in and show them how it works. We can show them how the data flows, how algorithms can work on that data to interpret it, because it’s all about building trust. This is where the Lenus Digital Health Platform comes in. It forms the secure backbone through which patient generated data gathered from apps, wearables and devices is passed securely between digital services and trusted statutory healthcare systems. By utilising devices and apps that users already trust, and focusing on data security through the exchange layer, the objective is to see an explosion in digital healthcare adoption. The problem has not been solved before, because the approach has never been this user or developer focused. Professor George Crooks said, “Up until about five to seven years ago the vast majority of spend in healthcare was spent in what was known then as e-health – technology solutions that were designed to service the needs of individual health boards or organisations for the staff that worked in them. The patients were the passive recipients. “Over the last five years we’re now focussing on digital tools and solutions that are primarily focussed on our citizens – providing them with health advice and information, care advice and information, and support to allow you as a citizen of Scotland to make informed decisions about your health and wellbeing, as well as allowing you to do more for yourself – including monitoring your own long-term condition like diabetes, cardiac failure or COPD. The range of use cases that would benefit from this infrastructure is wide ranging from reducing exacerbations and subsequent admissions to hospital for patients with lung disease, lowering the number of face-to-face appointments for routine care to monitoring vulnerable people in their home using IoT devices. 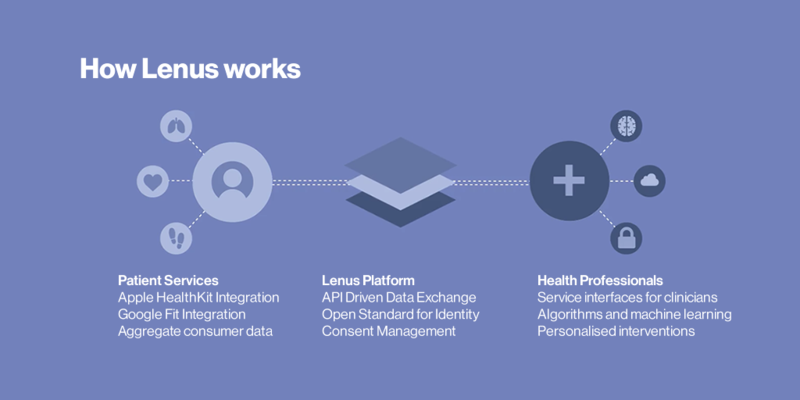 Adoption of the Lenus Health Platform will enable healthcare organisations to capitalise on consumer health technology innovations to accelerate the adoption of new care pathways. Through its open architecture and suite of APIs, it will also stimulate economic activity among software developers, connected hardware and sensor providers, who hitherto have struggled to operationalise their services within healthcare due to a lack of data integration and challenges around information governance. A further benefit is the collection of rich datasets from patients, with consent approvals, to build new predictive models.